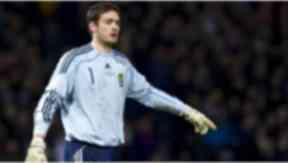 Scottish footballer and current goalkeeper for the Scotland national team Craig Gordon was born today in 1982 in Edinburgh. The player was known as the most expensive goalkeeper in British history, with former manager of Sunderland A.F.C playing a record £9m to secure him from Hearts in 2007. This was only surpassed in 2011, when David de Gea was transferred to Manchester United. He was one of the ‘Riccarton Three’, along with Steven Pressley and Paul Hartley, who in 2007 spoke to media about “significant unrest” in the dressing rooms over the way Hearts was being run. Gordon attended Balerno Community High School between 1994 and 1999. He was a well-known Hearts supporter, and went through the club’s youth development programme. He made his debut for Hearts in 2002, and his performance during the next season resulted in him being shortlisted for the Scottish PFA Young Player of the Year award. He was playing regularly for Scotland by 2005, and his solid performance during that season is credited as helping Hearts finish second in the Scottish Premier League and secure victory in the Scottish Cup. The 2005-2006 season saw Gordon voted Scottish Football Writers' Association Player of the Year. He was the first Hearts player to win the award in 20 years and the first goalkeeper since Rangers' Andy Goram in 1993. His 2006-2007 season was stormy, as the backlash from his statement to the media was felt. His move to Sunderland was announced on August 7 2007. Gordon was inducted into the Hearts Hall of Fame on November 8 of that year, the youngest player to have done so.